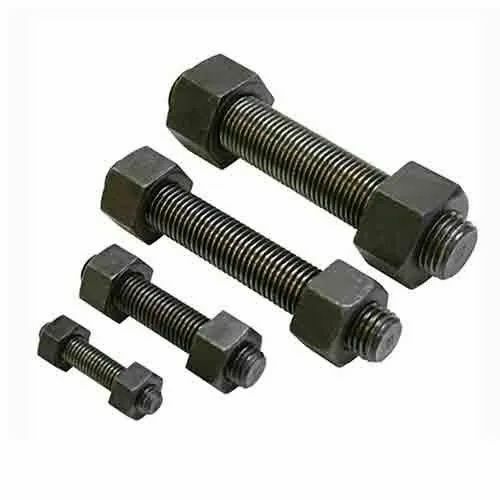 Backed with our experienced workers, we are exporting a series of superior quality Stud Bolts and Nuts with 193/194/2H/B7 Grade. These products are developed using quality tested stainless steel, brass and mild steel, that are obtained from the reliable vendors engaged in the business. We deliver the items in numerous sizes, designs and shapes, to meet the mixed demands of our clients. Maharashtra Bolt Nut Company is a Partnership based business organization, and one of the reputed manufacturers, suppliers and exporters of a huge range of MS Fasteners, Carriage Bolts, Industrial Valves, Metal Rivets, Allen Bolts, High Tensile Fasteners, SS Fasteners, Stud Bolts and Nuts, Polypropylene Fasteners, Machine Screws, Copper Fasteners, Industrial Metal Pins, Disc Washers etc. Apart from this we have many sub products under our mentioned categories of products to fulfill the various requirements of customers and it includes MS Nuts, MS Washers, MS Bolts, Industrial Valves, Diaphragm Valves, Gate Valves, Crane Butterfly Valves, Snap Head Rivets, Taper Washers, Roofing Nails, Hook Bolts and Nuts, Wire Nails, Cotter Pins, Circlip Pins, Taper Pins, Dowel Pins etc. We are also stockists of Audco, L & T, Spirax, Sarco, KSB, Saunders, Crane brand Industrial Valves.